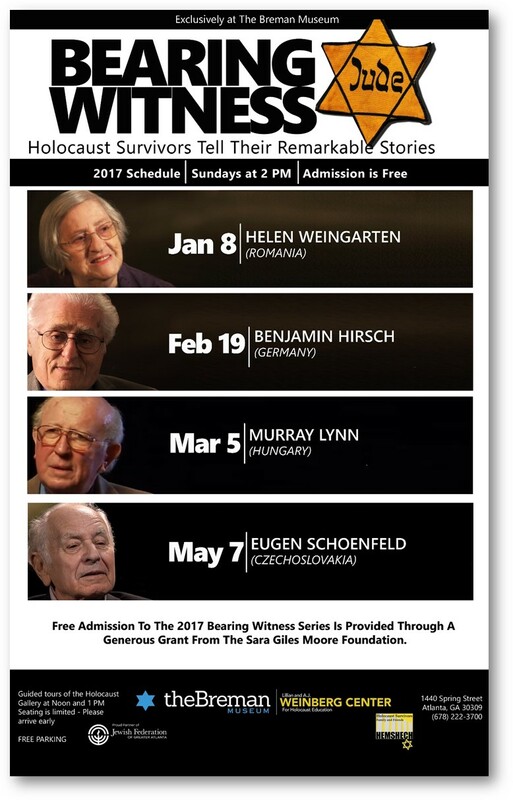 Holocaust survivors will be telling their remarkable stories at the Breman Museum. This event takes place Sundays at 2 PM. Admission to the series is free.